Every year Round 1 is the round we talk about the most, and the one we know about the least. Am I going to be smart and not make that mistake in 2019? Of course not. Let’s just say eveything here should be taken with a liberal dose of “It’s only Round 1, but…” and get started. It’s a wonder that anyone bothers at all to make predictions about a new AFL season when you consider just how easily they are torn to shreds. Yes, it’s only Round 1 – but in the space of four nights, we’ve seen just about all of the most popular pre-season fancies cop hard whacks, whether on the scoreboard or somewhere else. 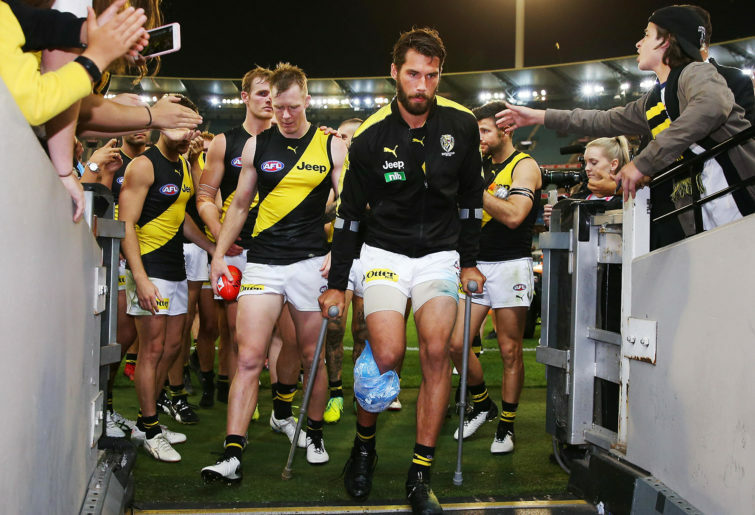 Richmond kicked the season off with a win over Carlton, but despite posting four points, an ACL injury to Alex Rance has many asking – rightly – if they can win the flag without him. Collingwood brought back big guns in Dayne Beams and Jamie Elliott to top off a team that came within a kick of a flag last year, and couldn’t conquer a Cats side with four AFL debutants. Melbourne should’ve comfortably outmuscled a Port Adelaide side also featuring four players making their first ever AFL appearance – instead they were made to look old and slow. West Coast met a Brisbane Lions side who won only five games last year but have entered the season with plenty of belief – and somehow it was the Eagles who copped a reality check. It was the biggest Round 1 loss by a reigning premiership side in nearly three decades. Adelaide after a flawless preseason and plenty of reason to believe they could bounce back in 2019 faced Hawthorn on their home deck and were humbled. And Essendon, oh Essendon. What even was that. We’ll talk more about the Bombers in a second (and also the Tigers and Dees a little later on). Plenty of fanbases are going to be left disappointed this week, and don’t even ask how anyone’s tipping is doing. But one can’t deny there’s a certain excitement in seeing the status quo so thoroughly tipped over. It’s been something of a strange quirk of the preseason that a significant number of clubs brought in high-quality players during the trade period, but none has been pumped up quite like Essendon. 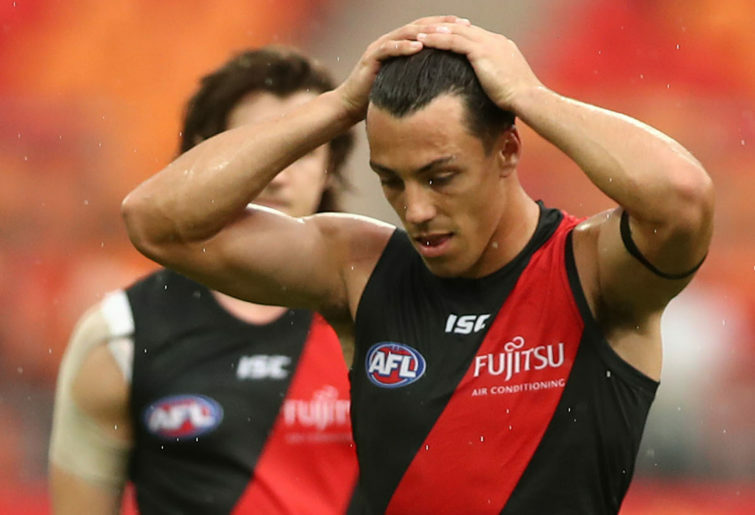 Maybe it’s simply the fact that they’re a big club with lots of untapped potential, maybe it’s the fact that Dylan Shiel’s late and somewhat unexpected decision was one of the most dramatic of the trade period. If you cast your mind back to before the JLT Series began, Essendon were the team on everyone’s lips, and I’ll admit I was looking at them as a threat for top four. Relatively average preseason performances slowed the hype train down a little but not nearly enough for it to not still be an absolute catastrophic wreck when they were thumped by the Giants to the tune of twelve goals on Sunday. The message Essendon have been putting into the media throughout the offseason has been pretty simple: “We got Dylan Shiel.” It might as well be their membership slogan. If there’s been any talk from them of more fundamental changes to fix the problems that made 2018 a failure, well, it’s flown under my radar. It’d be silly to think the sky is falling simply due to a winless preseason campaign, but it’s done nothing to remove the doubts already in my mind either. At the time I worried I was reading too much into preseason form, and that my suspicion they could be in for another slow start would be proven silly. It has always baffled me why a club that tends to do really well when they take draft picks is so keen to trade them out on a regular basis. Look at Port Adelaide’s track record: before last year, their four most recent first-round picks were Chad Wingard, Ollie Wines, Sam Powell-Pepper and Todd Marshall. All fine players with long AFL careers ahead of them (albeit Wingard being in other colours now). Then in 2018 the departures of Wingard and Jared Polec set Port up to take not one, not two, but three players in the first-roud of the draft – and I know we’re only one round in, but I’m happy to go early and say they’ve smashed it again. Connor Rozee, Zak Butter, Xavier Duursma – all three of them are players with class and composure beyond their years, and the kind of raw x-factor talent you just can’t teach. It was Butters who stole the show on Saturday when Port pumped Melbourne, kicking back-to-back goals in the second quarter to get them ahead on the scoreboard. He’ll get this week’s Rising Star nomination. But Rozee and Duursma are just a talented and both seriously impressed. This trio will go far. There’s not much in footy more deflating than to see a player go down with an ACL injury in the first match of the year, and when it’s one of the best not just in their side but the game as a whole that goes doubly so. Alex Rance, weirdly, has no shortage of critics. They are the flat-earthers and moon landing conspiracists of the AFL – objectively wrong, obssessively committed. Rance for mine has been one of those rare players capable of making a rival side likeable (and for me and Richmond, that takes a lot of work), something I’ve thought even more so after getting the chance to interview him last year. He’s a great footballer and a better bloke. Those of us who work in sports media love the narrative and an injury like this is inevitably a big twist in it. We too often forget the human side of things and jump straight into storytelling. Still, I hope it won’t be considered disrespectful to ponder a little the impact this will have on Richmond’s 2019. The Tigers already entered this season in something of an interesting position. Their success over the 2017 and 2018 seasons has been in no small part due to tactical innovation, but that only ever keeps you at the top so long in this game and their early exit last year felt like a sign that other teams are starting to adapt. You have to keep evolving to stay at the top of the food chain and Richmond’s recruitment of Tom Lynch, plus the impressive preseason form of Noah Balta, has given them the tools to do this – they can now field a forward line that’s more of a traditional setup, or even go for the triple-tower tactic. When Lynch and to a lesser degree Balta gives them the materials, Rance’s injury has given them the impetus. No player on the list is more crucial to the way they play the game, so now the Tigers will have to reassess how they’re planning to get their wins. Could Balta be the answer, moved to the backline? Damien Hardwick said just the other day that he has Rance’s athleticism. Ryan Garthwaite could be an option as someone more experienced in the tall defender role, or they could opt for a smaller backline and bring in a running player like Brandon Ellis or Oleg Markov. We’re about to find out whether Hardwick and his coach staff are simply one-hit wonders, or if they can find a new beat to keep Richmond at the top of the charts. When AFL players ask for a trade even when in contract they tend to still get what they want, and part of the reason is that clubs must surely be concerned about how holding them against their will could affect their attitude, form and value in the year to come. No need for Geelong to have any such concerns about Tim Kelly in 2019, as it turns out. On Friday night against Collingwood he was close to best on ground. 31 disposals, nine clearances, 597 metres gained – Kelly was probably the Cats’ most productive midfielder (maybe just edged out by Patrick Dangerfield). What struck me the most though was the enthusiasm with which he celebrated every little victory and embraced his teammates. Okay, okay – that’s probably not worth reading much into, but it was good to see. If Kelly keeps up this form then – presuming, probably safely, that he still seeks a move home at the end of the year – he is going to cost whichever club he joins plenty at the trade table. Most intriguingly, it was revealed just last weekend that despite having his heart set on the West Coast Eagles in October last year, Kelly is now open to joining either WA club. Fremantle would likely be in a better salary cap position to make Kelly a big financial offer and could have a higher draft pick to put on the table, which would make things interesting. Cats fans would clearly prefer he stay but if that’s not on the cards then this is about as good as it gets for them – the chance to play the two WA clubs off against each other will ensure they’re richly rewarded for his departure. 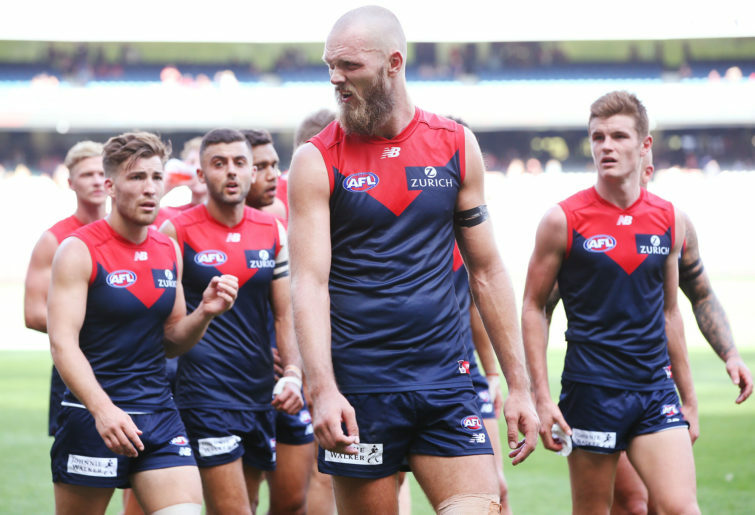 After a breakthrough finals campaign last year Melbourne have been one of the popular picks for top four or even premiership contention in 2019, but on Saturday they looked anything but. Maybe we all got a little too excited and just sort of mentally snipped out their atrocious preliminary final performance – that’s the kind of game that takes a lasting toll on a team. One of the key focuses of the recruiting strategy that has built Melbourne’s current list is to pick players who are tough-as-nails, and doing so has had many positive benefits. Melbourne were a dominant team last year in many of key indicators of a good midfield and that also led to them finishing the year as the league’s highest-scoring team, primarily through sheer volume of inside 50s. Still, the issue with recruiting the same type of player repeatedly, well, you wind up with a lot of similar players – and Melbourne’s midfield is stacked with guys you can rely on to hit every contest hard, but don’t always damage with their disposal. Against a Port Adelaide side that was sport three new first-round draft picks all with pace and pizzazz, the Dees looked utterly devoid of either. What a fun little quirk that in the same week where we should see an impressive pairing between Charlie Cameron and Lincoln McCarthy, we should also see a potentially career-reviving game from Cameron McCarthy. Let’s take Cameron and McCarthy first. They were brilliant on Saturday night. Brisbane kicked 15 goals for the match, and seven of those belong to this pair. What makes it all the more impressive is that for both of them this was the first game back from injury spells. Cameron missed the second half of the last year to injury, while Lincoln McCarthy’s contact with regular footy has been akin to a Japanese soldier stuck in the woods and unaware the war is over. McCarthy’s preseason form suggested that sometimes a change really is just as good as a holiday. There’s been more than a few injury-stricken players who’ve changed clubs and just inexplicably found a way to stay fit – fingers crossed things stay that way for him, because he’s great to watch. And as for Cameron McCarthy, well, the hat has to come off to both him and Fremantle’s forward line. What kind of odds do you reckon you could have gotten on the Dockers to be the top-scoring team in Round 1? McCarthy probably wouldn’t have been playing if it wasn’t for Brennan Cox and Jesse Hogan all being unavailable at the same time – but he got the opportunity and took it with both hands, kicking five goals. I’ve campaigned on and off during the preseason that the Hogan-Lobb-McCarthy set up should be Fremantle’s go-to when all three are available, despite the public preference generally being to pick Taberner as third tall. Who can say just what will happen when they’re all actually in the mix and push comes to shove, but for now there’s no doubting Ross Lyon has an enviable range of options. Adelaide Crows – For mine the most head-scratching aspect of Adelaide’s loss was that so many players in their midfield saw plenty of the ball and/or kicked goals (Rory Sloane and the Crouch brothers being the highlight), yet they never felt seriously in the game. Not great. 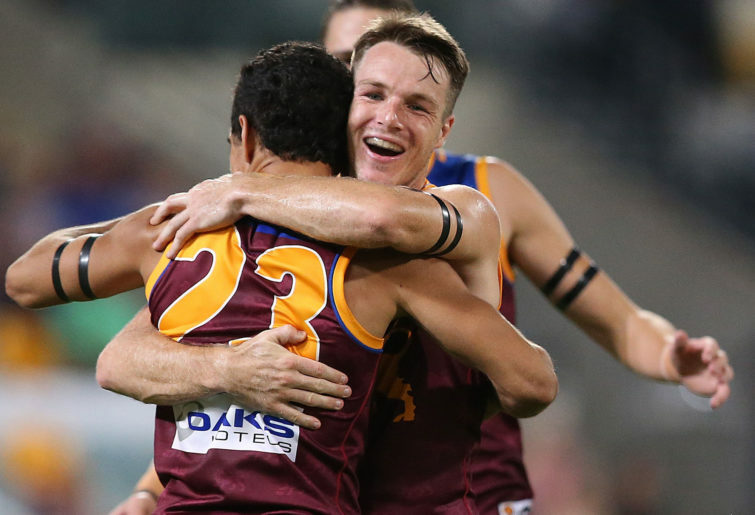 Brisbane Lions – Early days but after backing up impressive preseason performances with strong efforts in Round 1, it feels like Brisbane have really nailed their offseason recruits in Lachie Neale, Jarry Lyons and Lincoln McCarthy. Hopefully Marcus Adams makes it four from four. Carlton Blues – No win for the Blues but there were a lot of positives. In addition to Patrick Cripps doing what Patrick Cripps does, Nic Newman and particularly Will Setterfield (given he was coming back from an ACL) looked great, while Jacob Weitering was in encouraging form. Andrew Phillips impressed too. Collingwood Magpies – They didn’t get the result but Collingwood fans should be very encouraged by the form of Jamie Elliott in his first game back after missing the entire 2018 season. If you can get him, Jordan De Goey, Jaidyn Stephenson and Will Hoskin-Elliott in the same forward line, that’s a really hard mix to match up on. Essendon Bombers – When you make a hard call at selection like leaving a player with the quality of Darcy Parish out, it’s pretty galling to then see the team perform so badly and appear to be carrying so many passengers. Have to assume he’ll be in for Round 2. 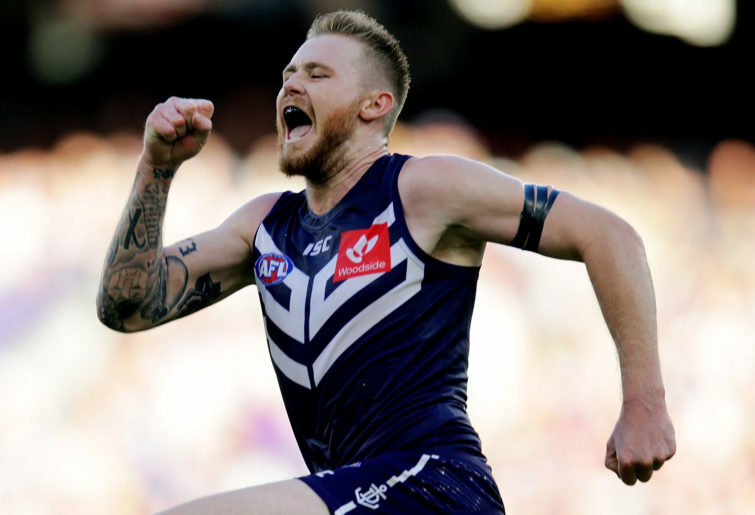 Fremantle Dockers – This Fremantle side didn’t have Jesse Hogan, didn’t have Stephen Hill, and didn’t have Connor Blakely. If this is the way they’re going to play from now on, having those four back in time will only make them better at it. Geelong Cats – The Cats had a lot of new faces, for mine the most eye-catching was Charlie Constable. 21 touches and a goal was impressive, even more so when you consider he did it in just 66 per cent game time. Gold Coast Suns – The Suns won’t get many chances to actually win games this year and it’s a real blow to let this one slip. We could wind up looking back on this match as the one that decided the wooden spoon. Anthony Miles was the best of the new recruits, weird choice to play David Swallow forward but it worked okay. GWS Giants – I was planning for most of the offseason to name the Giants as my premiership tip and then baulked at the last moment. Is it too late to change back? Here’s a scary thought: this team has one of the league’s top-five midfielders in Josh Kelly to come back next week. Hawthorn Hawks – When will we learn not to write off Hawthorn? Never, probably. What impressed me about this win the most is that it was players taken with late draft picks in James Sicily and James Worpel who led the way. Any club would kill to get players like them in the first round. Wingard and Scully to come. Scary. 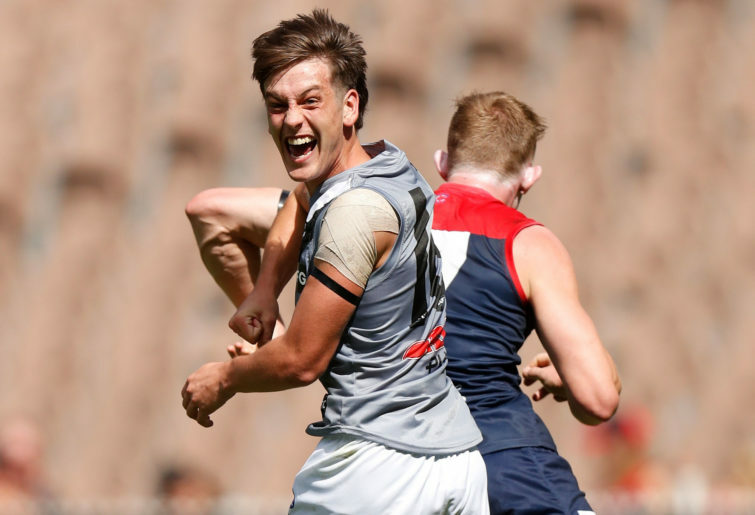 Melbourne Demons – The Dees have put a lot of currency over the last two years into bringing in key defenders in Jake Lever and Steven May, but weren’t able to field either in this match. No doubt that had a big impact on the result. North Melbourne Kangaroos – I hate when my team plays on a Sunday because you spend the whole weekend nervous about whether or not they’ll get the win, and this effect is only amplified in Round 1. What a massive let down – a baffling and completely unacceptable performance. Bailey Scott with 21 touches and two goals was the only positive. Port Adelaide Power – How good is Justin Westhoff? He would have to be in the mix as one of the most underrated players in the league. With no Charlie Dixon available the Power needed a spearhead and he was more than up to the task. Very nice work. Richmond Tigers – A solid start by Tom Lynch was all set to become the big story of the season opener until Rance went down. He looked a little rusty, as you’d expect from someone coming back from a PCL injury, yet still had a significant impact. Will do plenty this year. St Kilda Saints – If Alan Richardson’s team had scored two less points on the weekend, we’d already be putting him on sack watch. The win brought him a little time but I wasn’t impressed this week, and I don’t think it’ll be too long before the conversation goes in that direction. Sydney Swans – Teams travelling in the first week of the season often seem a bit below what you’d expect of them so while this result would have been disappointing, the Swans shouldn’t rush to panic stations just yet. Worst case scenario, they’ll still be celebrating back-to-back mark of the year awards for Isaac Heeney come September. West Coast Eagles – Disappointing loss for the Eagles but there were a few mitigating factors. Making the biggest roadtrip in footy in Round 1 is a big ask, then throw on top of that the fact they’ve got Josh J Kennedy, Andrew Gaff and Nic Naitanui to come back into this side. They’ll be alright. Western Bulldogs – I couldn’t help but notice that in the same week as the Western Bulldogs sold their jumped to advertise the newly-named Marvel Stadium, the GWS Giants were able to acquire naming rights to their own stadium – an all-too-rare feat in the AFL. I know which of the two paths I prefer.